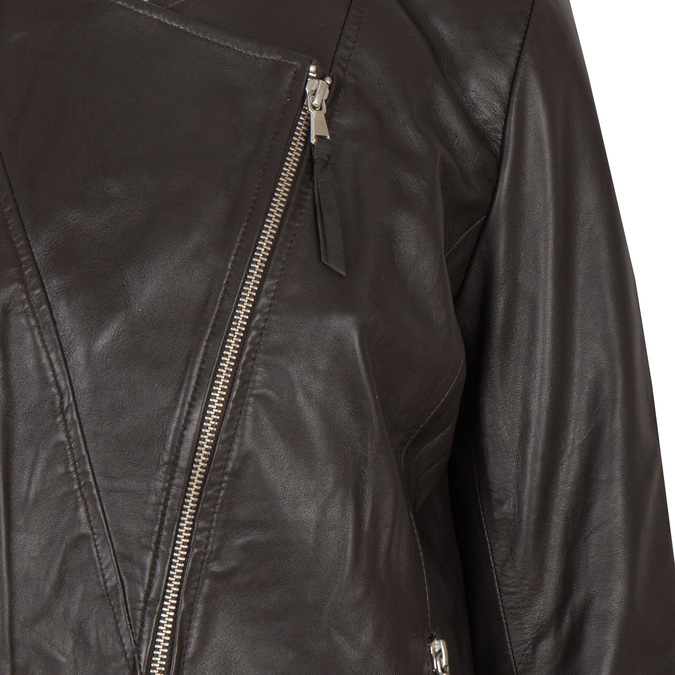 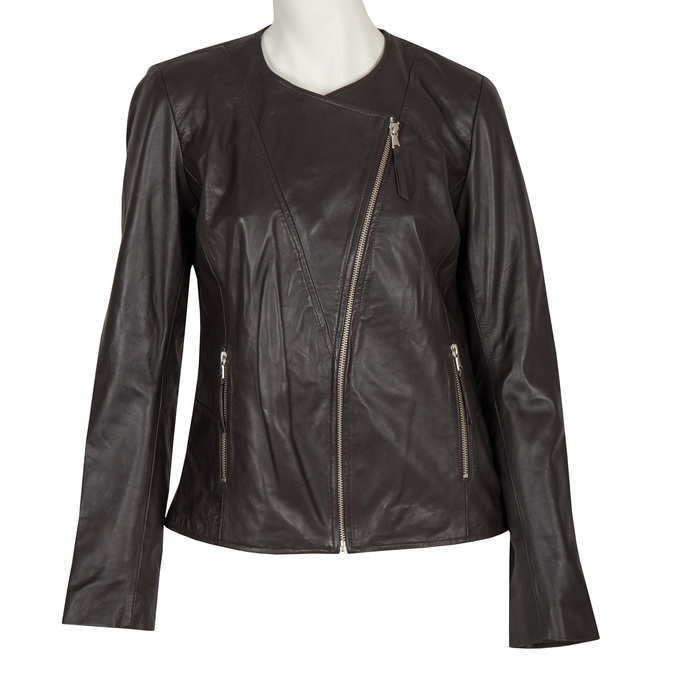 This ladies’ leather collarless jacket comes in dark brown, and captures attention with its asymmetric zip. It can be worn partially unzipped and folded back for a casual look. 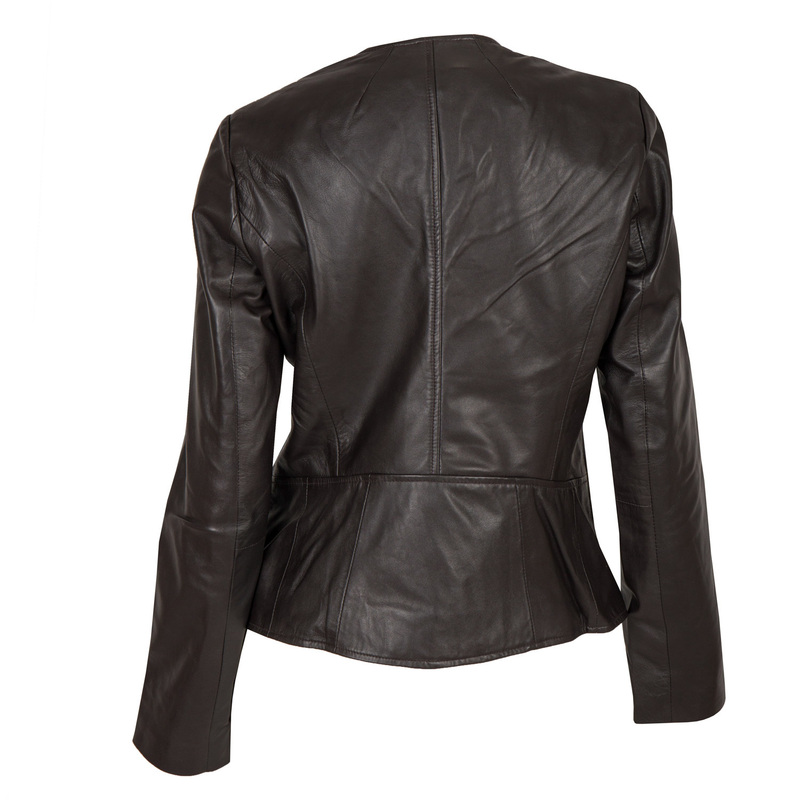 The back is slightly fitted, creating a nice figure. 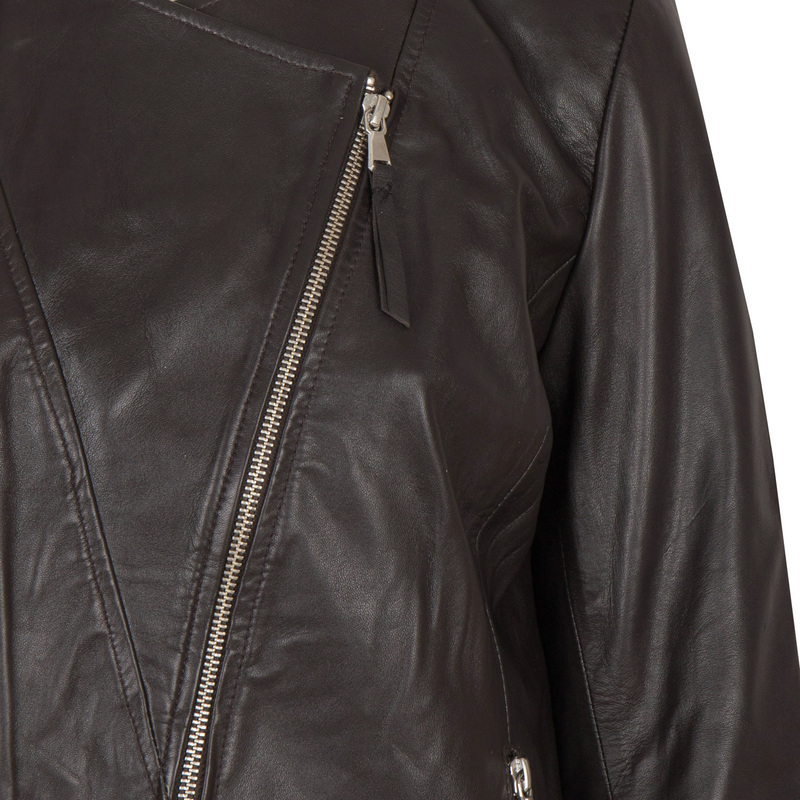 Wear this jacket with a dress or with ripped jeans.